The Silvertrac team is proud to have exhibited our software at ASIS 2017, a massive conference for security professionals from all over the world. We had the pleasure of meeting many of our clients face to face, and getting the chance to hear their feedback (which was overwhelmingly positive!). We were also excited to demo our product for hundreds of new contacts, and to build our network of potential partners. In an event so chock-full of security experts it would have been impossible not to walk away with some useful insights about the state of the industry. We certainly refined our understanding of what our clients want and need from their guard management software. With all the media focus on cybersecurity, it’s easy for those outside the industry not to notice the incredible growth happening in the physical security space. Nearly every company we spoke to at ASIS was managing more guards, more facilities, and more revenue than they were last year. That means that at this stage, growth is a necessary factor for most security companies to stay competitive. Those businesses that weren’t in growth mode were wisely seeking a differentiator to help them kick it into gear. For the past few years, security drones have been straddling the line between game-changing technology and passing fad. This year, they've crossed firmly into game-changing territory. Throughout the industry, drones are being used for patrols, crowd security, and more advanced video analytics. When we demoed Silvertrac at past security events, we usually had to start our explanation at square one, answering the question: what is guard management software, and how does it benefit my security business? At ASIS 2017, we found that this level of explanation was no longer necessary. There was a general understanding among the visitors to our booth about the concept of guard management software. What people were really interested in was what makes Silvertrac better than our competitors. Other security tools try to brand themselves as all-in-one solutions, incorporating guard management, HR, scheduling, invoicing, and more into one platform. Unfortunately, offering all these features usually results in decreased functionality across the board. Understanding this, Silvertrac has always been laser-focused on creating simple and powerful guard management and reporting tools, and refining them to be the best they can be. Now that we’ve established our guard management and reporting software, we’re able to start incorporating some additional functionality. Based on client feedback, Silvertrac’s leaders are currently searching for a scheduling software partner that can help us implement this kind of technology, without sacrificing ease-of-use. One of Silvertrac’s key advantages is that our software is lightweight. It doesn’t require complicated implementation, it doesn’t take a huge toll on hardware resources, and it can be adjusted to suit a variety of different applications. When we spoke to attendees who were currently using other guard management tools, we heard the opposite—their software was getting increasingly complex, resource-intensive, and difficult to use. We aim to continue to differentiate ourselves by remaining the most lightweight and streamlined solution on the market. 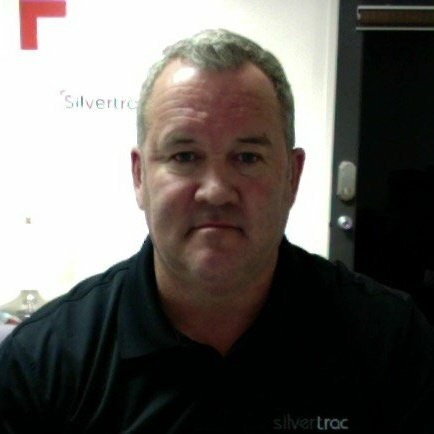 Chris is the Founder of Silvertrac Software and has been working in the security industry for more than 25 years. He enjoys working with our clients everyday to help them grow their businesses and really enjoy what they are doing. Chris currently lives and works in Seal Beach, CA.